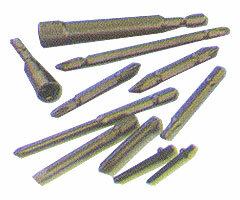 We are leading and well recognized names in the field of offering Power screwdriver bit series (Hero Japan). 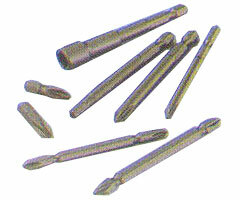 These are made available by us in Power Screw Driver Bit1 & Bit 2 options as per the specific requirements of the customers. These are constructed using special alloyed steel that is made to undergo heat treatment finish so as to provide in these enhanced durability standards. Special alloyed steel and careful heat treatment for respective materials enhance excellent durability.the highest lasting quality is attained by making choice of hardness agreeable to respective uses.